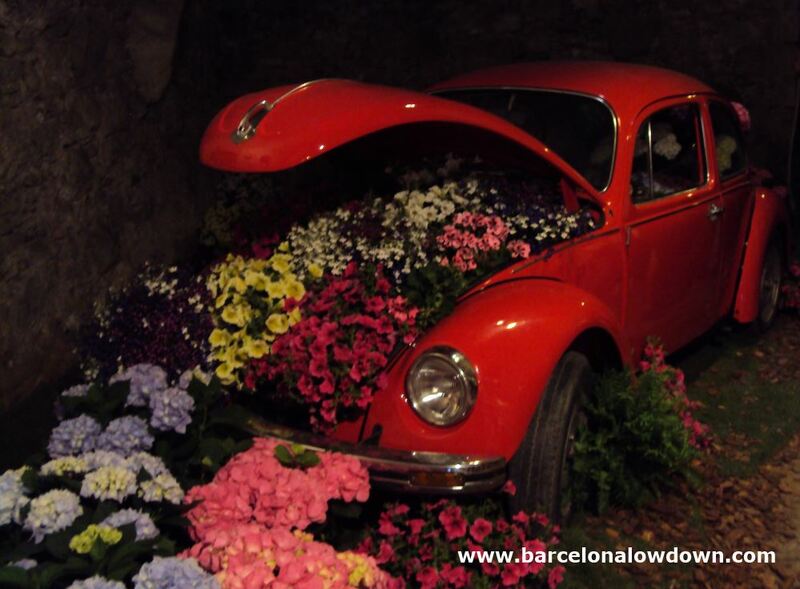 Each spring, during the 2nd week of May, the streets of Girona fill with colour as the city hosts it’s annual flower festival Girona Temps de Flors. The festival takes place in the historic city centre and medieval Jewish quarter El Call Jueu. 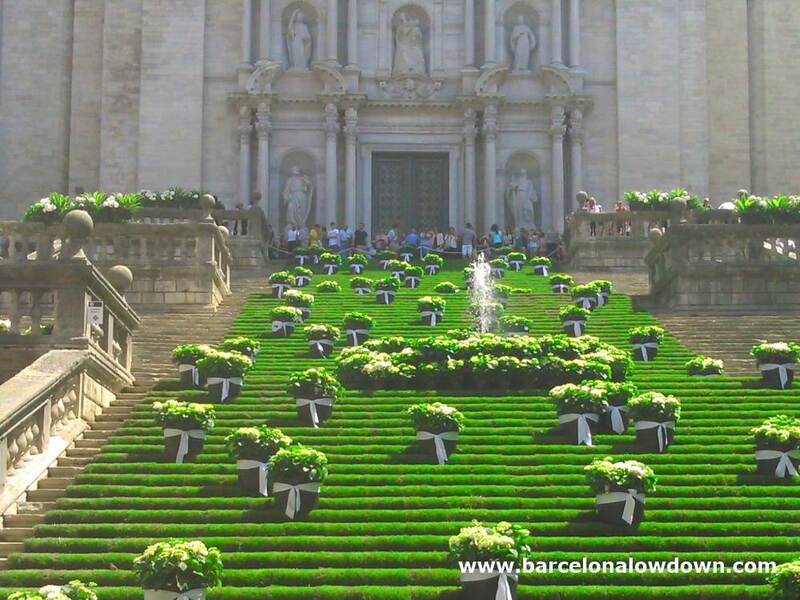 The most impressive floral displays include the Cathedral steps, the Arab baths, Saint Nicolas’ Chapel and Les Sarraïnes. There are over a hundred exhibits, some of which are in patios and other spaces which aren’t normally open to the public. 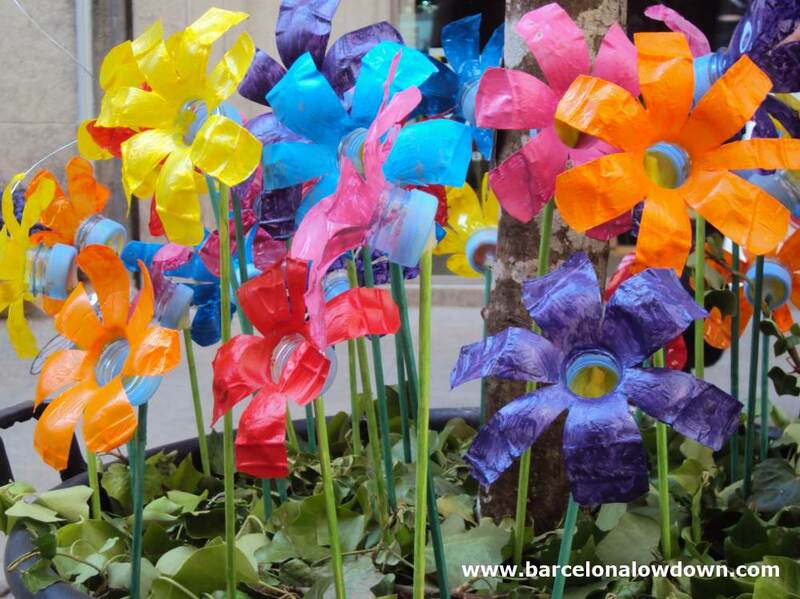 You can pick up a free map of the floral displays with 2 suggested itineraries. Maps are available at the tourist office and from volunteers along the route. 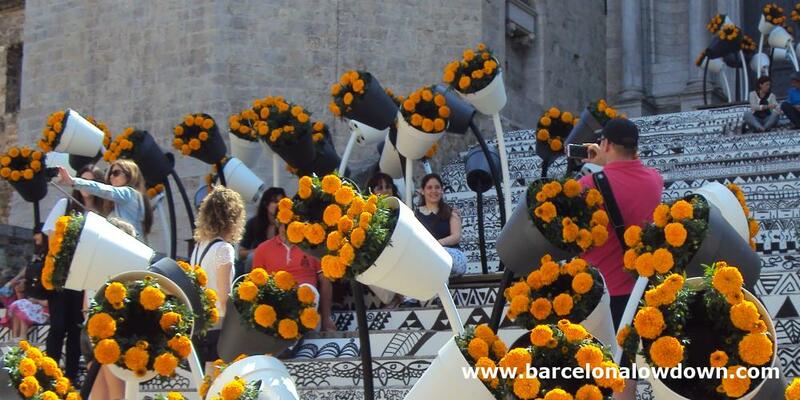 In addition to the flowers, the festival is also a good opportunity to explore the city and discover locations that you might otherwise miss. 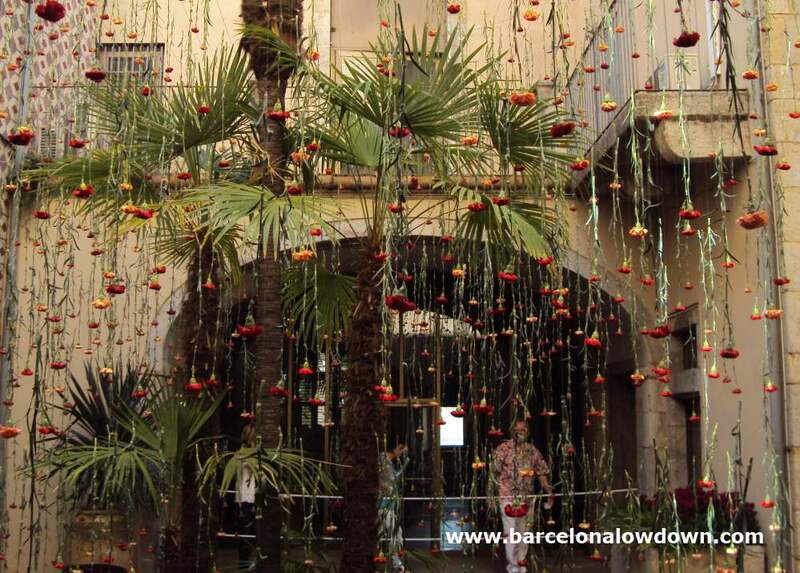 Sites such as the Girona History Museum and the Banys Àrabs, which you normally have to pay to visit, are free during the flower festival. 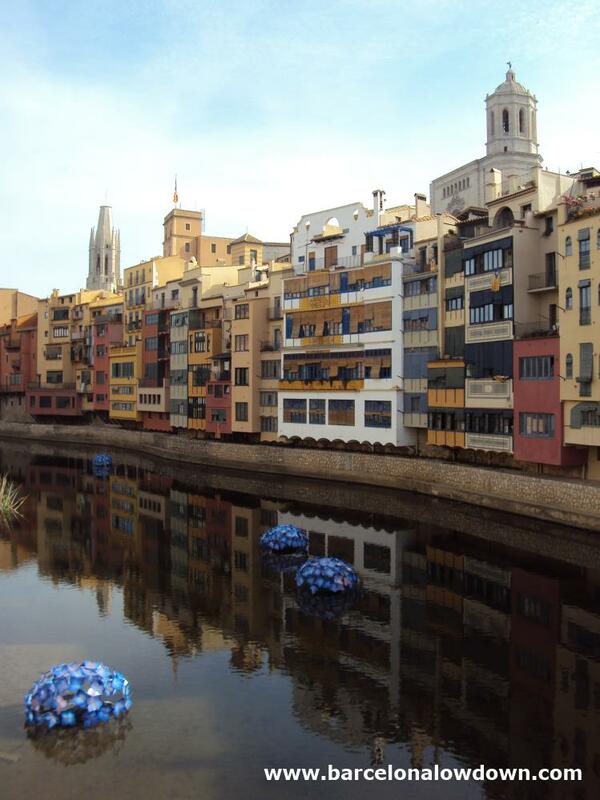 The best way to get to Girona from Barcelona is by train. You can get 35% discount on the ticket price by downloading and printing a voucher here. Show the voucher when purchasing tickets at the train station and when showing your ticket to inspectors on the train. Journey times and fares vary so check the timetables here. This follows on from tip number 2. 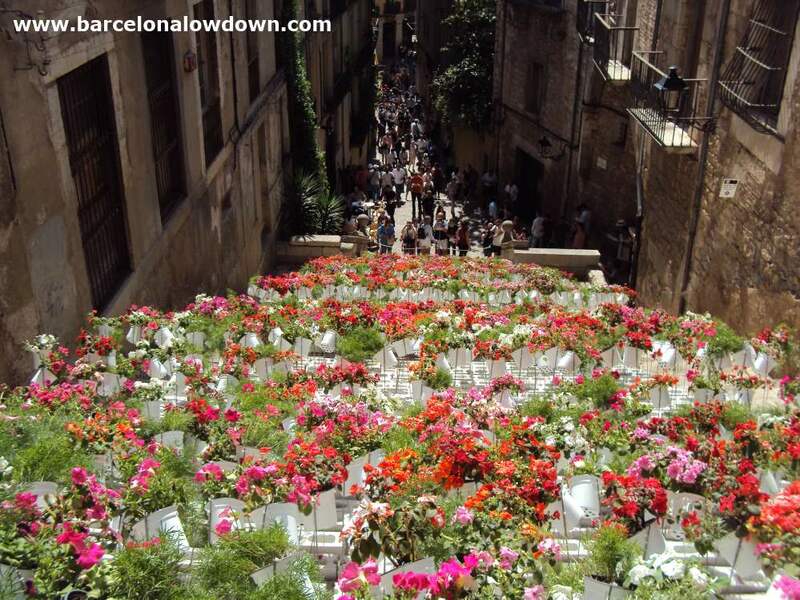 At the weekends, not only are there likely to be queues to see the floral displays. Restaurants get very crowded at lunchtime and service may be slower than normal. Time to relax and enjoy your surroundings. 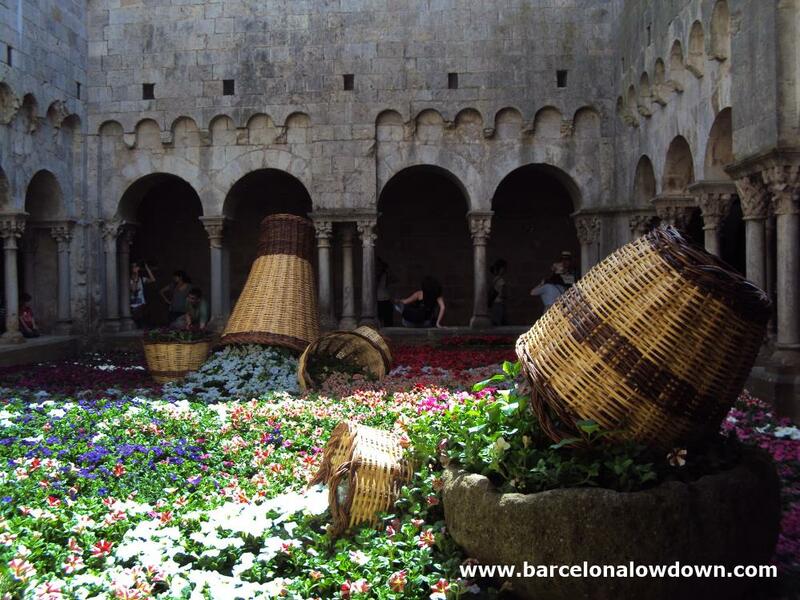 You could visit the flower show as a day trip from Barcelona but I think it’s best to spend a night in Girona. Not only does this allow you to see the city when it’s slightly less crowded, the exhibits on the River Onyar are at their best when lit up at night. The weekends of the festival, hotels in the city centre book up 2 to 3 months in advance. Either book early or be prepared to stay in a less central location. This year we stayed in Pensió Viladomat where a double room with on suite bathroom cost €50. The hotel is ideally located and the simple rooms with free WIFI were spotlessly clean. Check out photos from previous years on these blogs here, here and here. 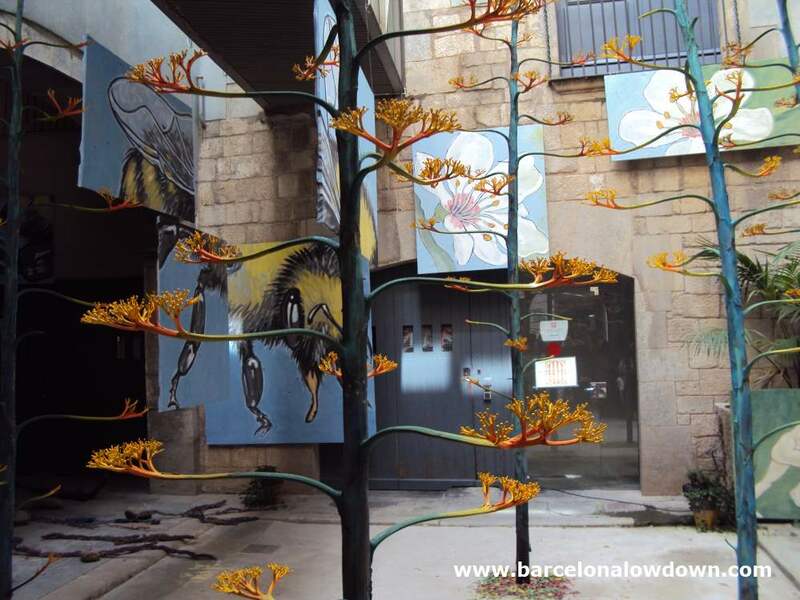 There are also photo galleries going as far back as 1998 on the Girona Temps de Flors website (2015 was the show’s 60th anniversary). 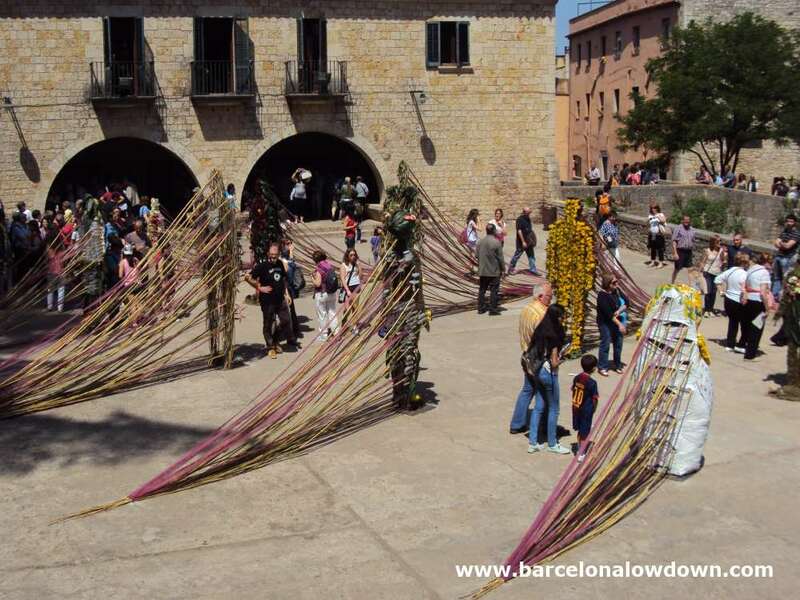 This entry was posted in Catalonia, Day Trips & Weekend Breaks, Events, Festivals & Traditions tagged festival, flowers, girona and updated on October 25, 2016 by Richard.